Thank you for your interest in Nightclub & Bar Show. Whether you're ready to exhibit or are just looking for information, we're glad you're here. Keep reading for additional exhibitor information. Ready to get in touch? Fill out an inquiry form here or contact us below. Show Dates - 35th Anniversary Celebration! Book early to secure preferred booth location! 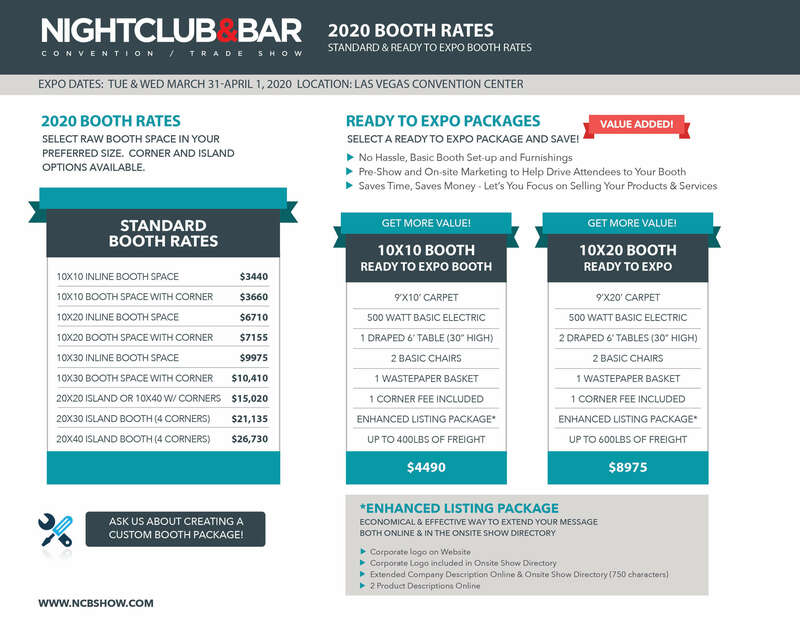 To view Standard Booths and Ready To Expo Packages click here. To view Pavilion Package pricing click here.